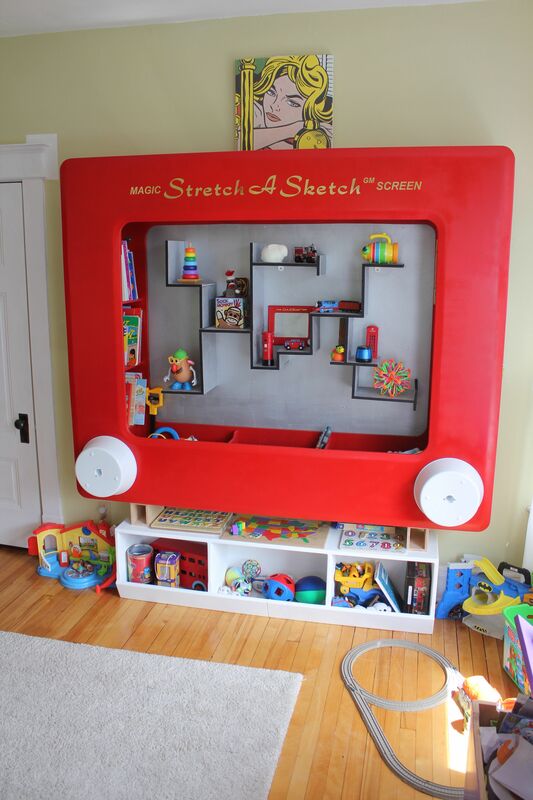 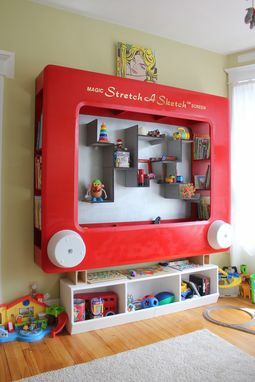 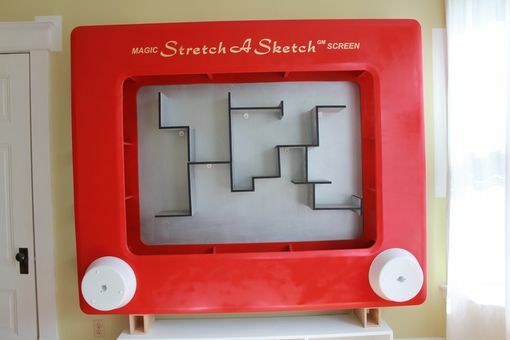 Stretch A Sketch is a fun and practical storage solution for your children. 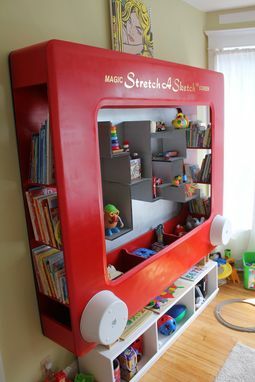 It combines shelving for many books, ample storage for toys and also includes a great place to so show off treasured items. 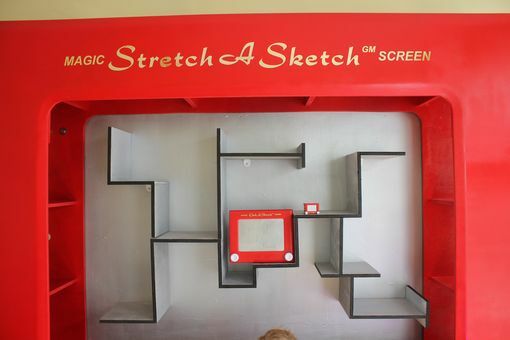 The middle shelving can be customised to your specifications, it could spell out a child's name or be a particular shape perhaps. 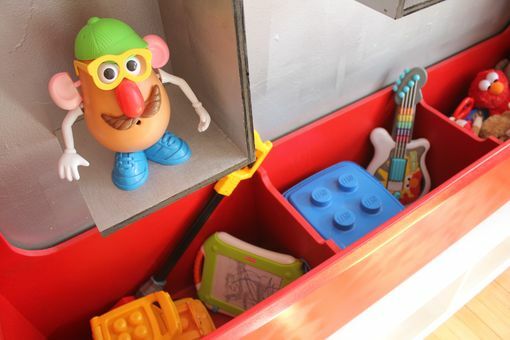 Let your imagine nation go wild.